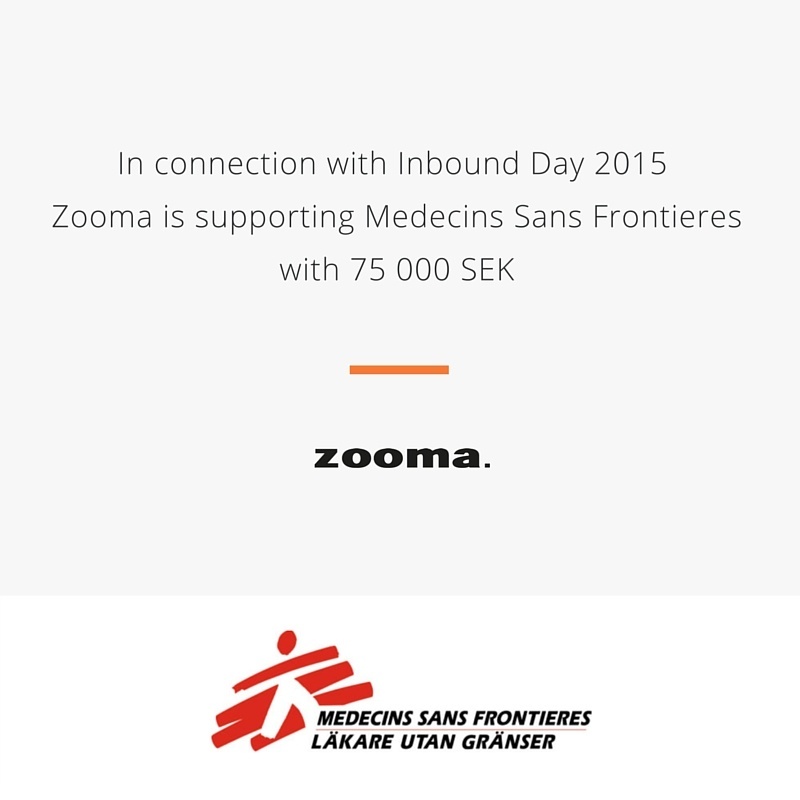 Happy and proud to announce that Zooma just supported Médecins Sans Frontières with SEK 75 000. This as a result of the annual Inbound Day 2015. Zooma donates SEK 1 000 per employee to UNHCR (sverigeforunhcr.se) to contribute to their work to provide a lifeline to refugee families.